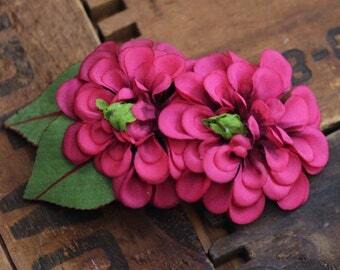 This subtle but striking fall hair clip is made from an actual reclaimed vintage millinery flower. 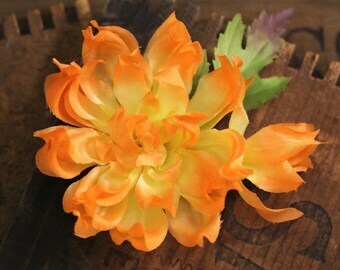 A full bloom silk zinnia in the most beautiful shade of pumpkin orange is centered with yellow tipped plaster stamens and chartreuse petals. > Note: Last photo shows how I mixed varying colors. If you want multiples (or varying colors) please contact me for a combined discounted option. 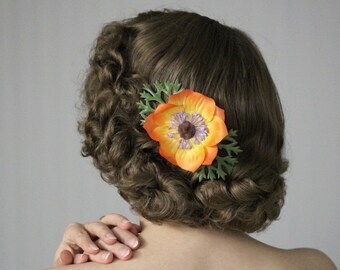 This is an "interchangeable attachment" headpiece. There are two open slits in felt on the back where you can use the attachment of your choice. Just slip the included alligator clip through the back to use. 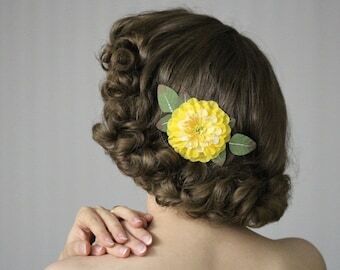 Or grab a bobby pin, clip, or skinny headband of your choice from home and slip that through instead! 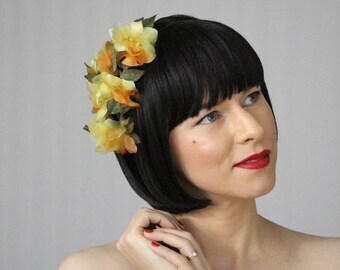 Orange Fascinator Flower, Fall Hair Accessory Clip, 1950s Floral Headpiece, Mums Womens Headband Autumn Hair Retro Gift - "Horizon Ablaze"
Purple Flower Headband, Plum Headpiece, Violet Hair Band, Pansy Hair Accessory, 1950s Fascinator, Floral Headband Women - "Bed of Violets"